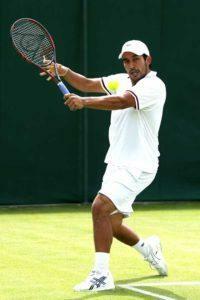 FILIPINO Treat Huey and Belarusian Max Mirnyi nailed two straight victories to advance to the quarterfinals of the Western and Southern Open being held at the Deco Turf in Cincinnati, US. Huey and Mirnyi hurdled past Jeremy Chardy of France and David Goffin of Belgium in the opening round then shocked seventh seeds Rohan Bopanna of India and Florin Mergea of Romania in the next round. The Filipino-Belarusian duo will be meeting the winners between the second-seeded pair of Bob Bryan and Mike Bryan of US and Lucas Pouille and Jo-Wilfired Tsonga of France. For making it to the quarterfinals, Huey and Mirnyi are now assured of $32,580 cash prize in the Association of Tennis Professionals (ATP) World Tour that offers a whopping $5 million total prize fund. They are also getting 180 ATP ranking points. Besides Huey and Mirnyi, the other quarterfinalists are top seeds Peirre-Hugues Herbert and Nicolas Mahut of France, No. 3 Jamie Murray of Great Britain and Bruno Soares of Brazil, No. 4 Ivan Dodig of Croatia and Marcelo Melo of Brazil, No. 5Jean-Julien Rojer of the Netherlands and Horia Tecau of Romania, No. 6 Daniel Nestor and Vasek Pospisil of Canada, and No. 8 Raven Klaasen of South Africa and Rajeev Ram of US.